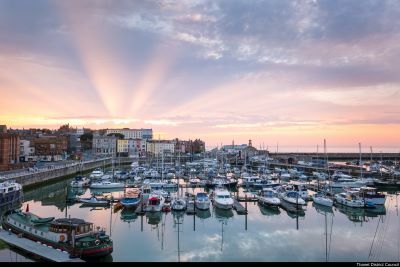 Blessed with rolling green hills dotted with apple, cherry, pear and plum orchards and miles of glittering coastline, it’s no wonder Kent is known as the Garden of England. 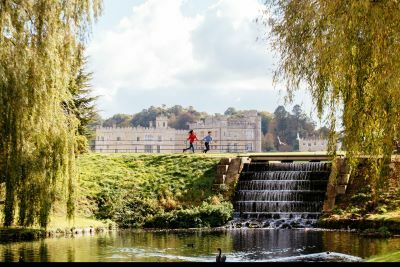 Throw in a millennium’s worth of history, a dozen well-preserved castles and one of the UK’s most magnificent cathedrals and this sunny south-eastern county makes the ideal spot for an English escape. 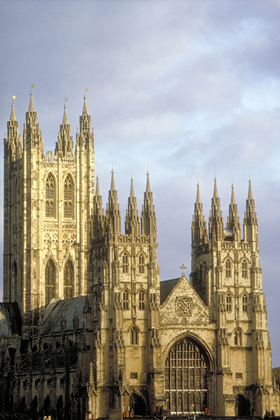 Explore 1,400 years of history at Canterbury Cathedral, which is part of a Unesco World Heritage Site. Saint and martyr Thomas Beckett served as archbishop here until his murder in 1170, which sparked a wave of pilgrimages to the cathedral – a practice which served as the premise for Chaucer’s The Canterbury Tales. The Cathedral in the Evening light, Canterbury, Kent, England. Pocahontas, the famous Native American woman who encountered the early settlers of Jamestown, Virginia – going on to marry John Rolfe and travel with him to England – is buried at St George’s Church in Gravesend. The Nave windows commemorate Pocahontas’s life, and her statue can be found in the churchyard. 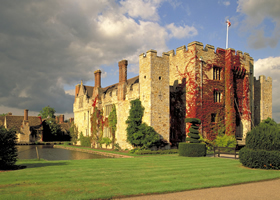 Hever Castle was once owned by William Waldorf Astor, the richest man in the USA – but it’s best known for being the childhood home of Anne Boleyn, King Henry VIII’s ill-fated second wife. 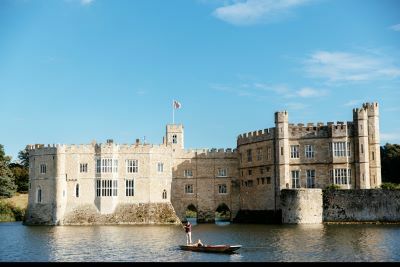 Leeds Castle was also used by the Tudor king for his first wife, Catherine of Aragon; 2019 marks its 900th anniversary. 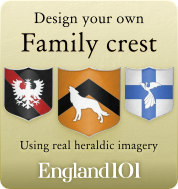 Today both castles are key family attractions, with falconry displays, maze gardens and more. Ightham Mote is a Medieval manor house also previously owned by an American businessman. Charles Henry Robinson Jr bought the property in 1953. He later donated the house and its 500-acre estate to the National Trust. His crypt can be found near the Great Hall, and features the inscription ‘A Pilgrim Returned’ due to his ancestral links to the Mayflower Pilgrims. 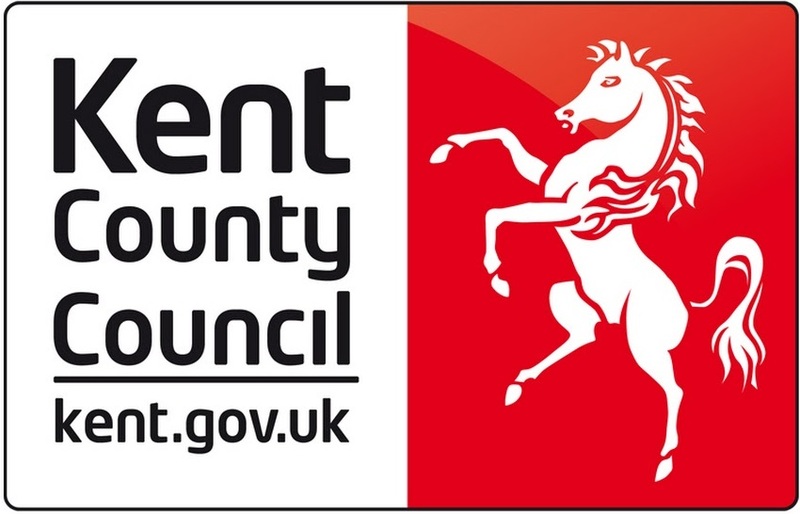 Ramble along the beautiful North Downs Way until you reach the iconic White Cliffs of Dover. 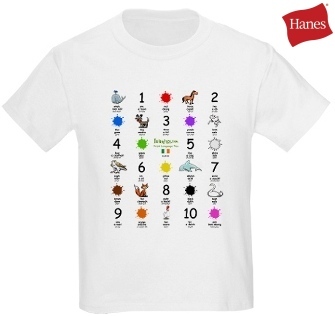 On a clear day you might catch a glimpse of France, just 20.6 miles across the channel. The spectacular chalk cliffs have greeted countless travellers arriving in England over the years, and has been seared in the memories of the many who’ve left – from soldiers in the Second World War to Pilgrims en route to the New World. 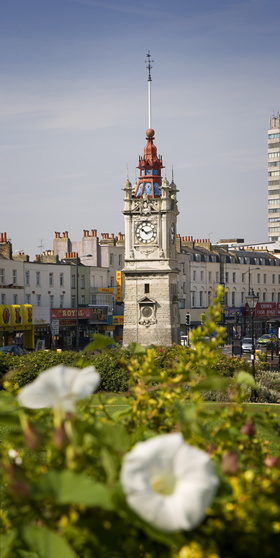 For more coastal culture, swing by the seaside towns of Margate and Whitstable. 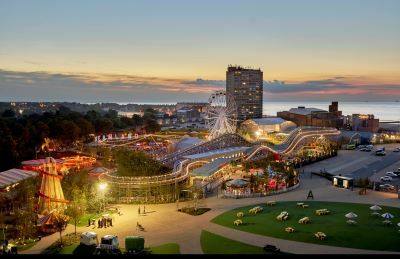 The former is a charming resort with a retro feel, complete with an old-school amusement park, while the latter is known for its quirky shops and abundant oysters. 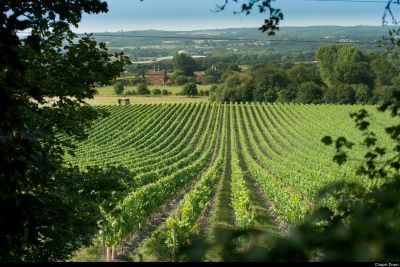 England’s sunny south is home to some of the UKs best wine producers. Take a tour of the Chapel Down or Hush House wineries to taste their creations. If beer is more your bag, try Shepherd Neame in Faversham – Britain’s oldest brewery. 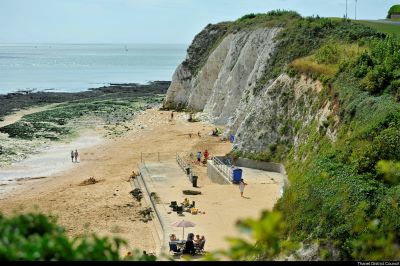 Their brews are served in over 300 pubs, including the Zetland Arms near Dover, situated on the edge of Kingsdown beach. 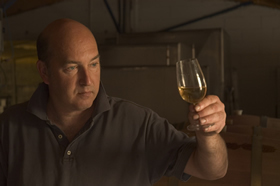 A wine taster sampling wine that has matured in old oak barrels at the Tenterden Vineyard Park in Kent. For good old-fashioned fish and chips, make a beeline for The Smokehouse in Folkestone. 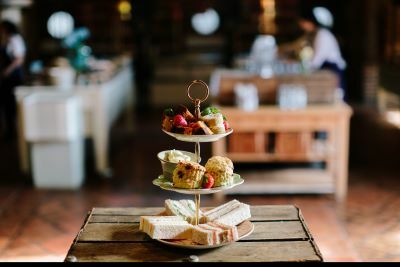 Whitebait with garlic mayo, Kentish pies and buttermilk fried chicken also feature on the menu. Alternatively, opt for an unforgettable meal at the Michelin-starred Sportsman, near Whitstable. 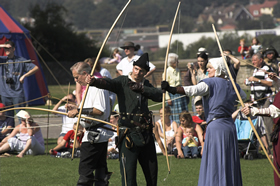 Archers firing arrows during Medieval Day at Rochester Castle. Rochester Castle is known as one of the best preserved and finest examples of Norman architecture in England. 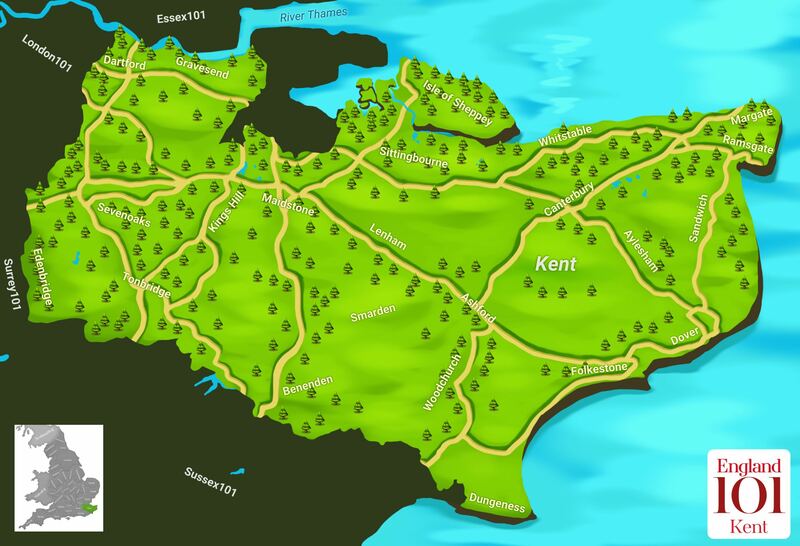 How much do you know about Kent ?